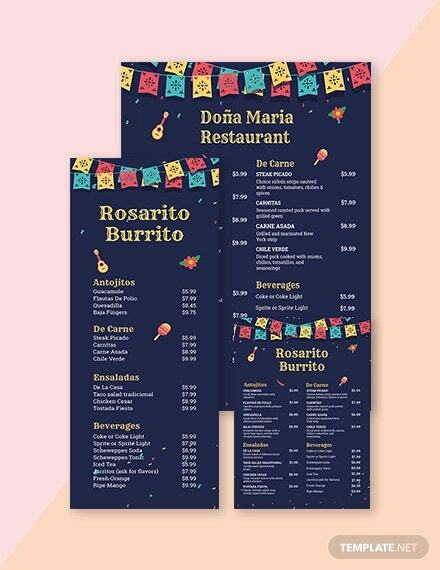 A menu card is the best way to find out everything about a restaurant, in fact, it is the only way. 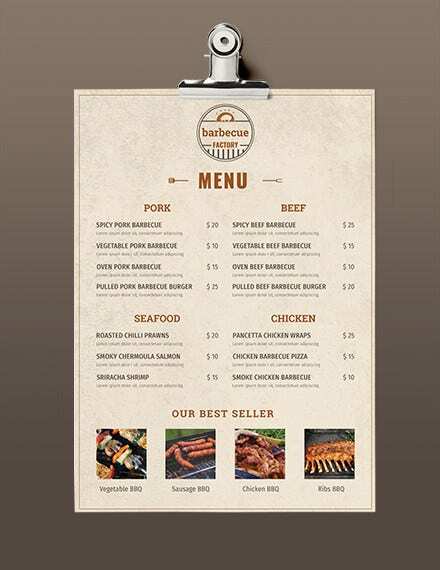 The menu of a restaurant is an integral part of its marketing strategy. 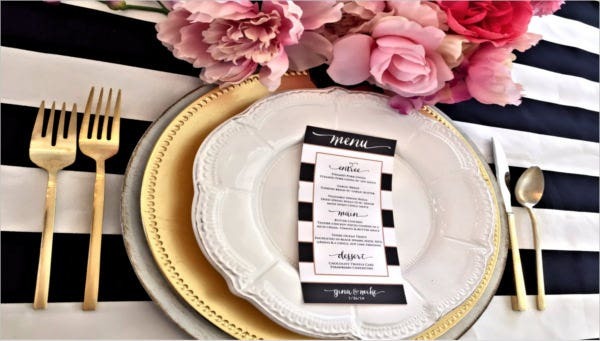 That is because a good menu is likely to leave a lasting impression on the minds of the diners, and that is key to the success of a restaurant. 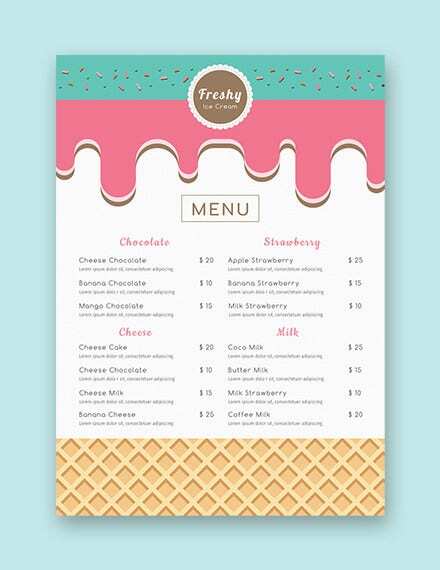 If you have been looking for amazing menus, then you can try premium Bakery Menu Templates. 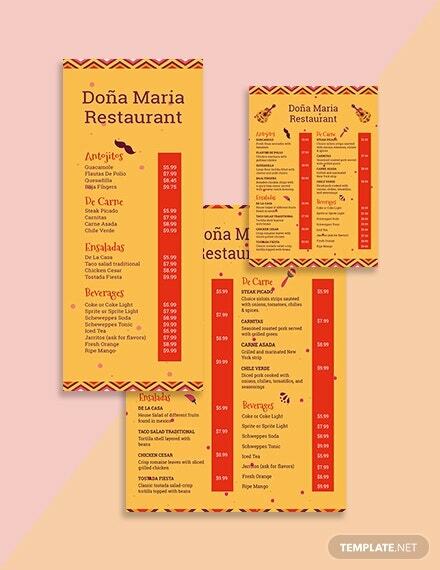 This is a take away menu that has two different colors. 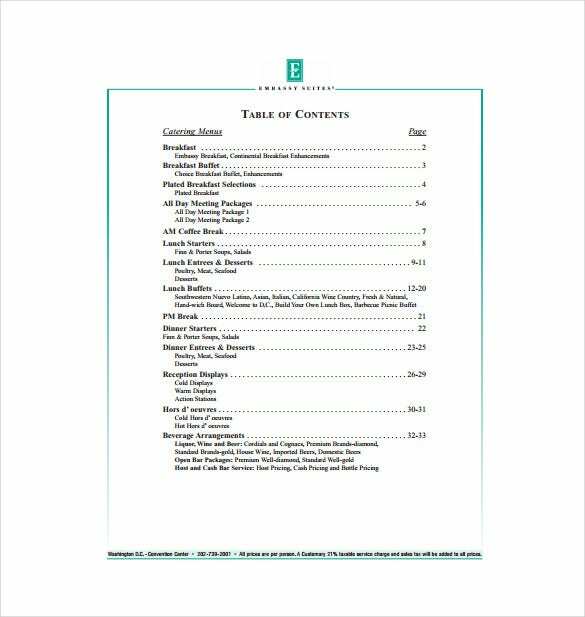 It is categorized into sides, desserts, drinks and their prices. 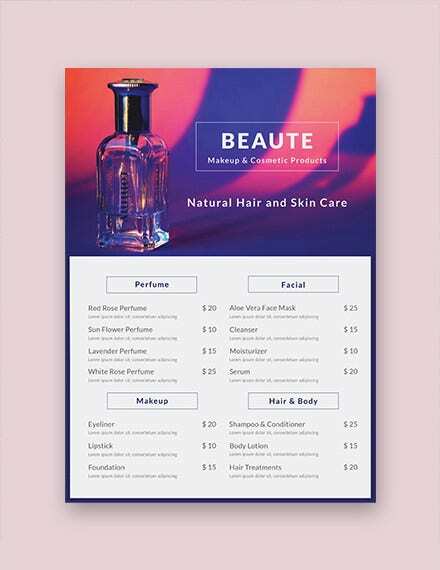 This Word template is great for reference if you want to customize your own. 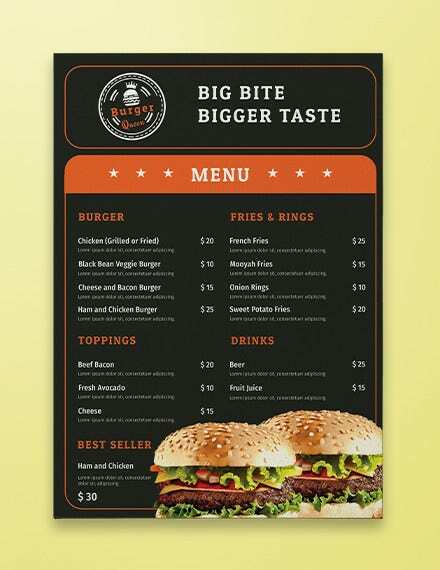 If you are looking for a printable menu to fit your fast food here is one. 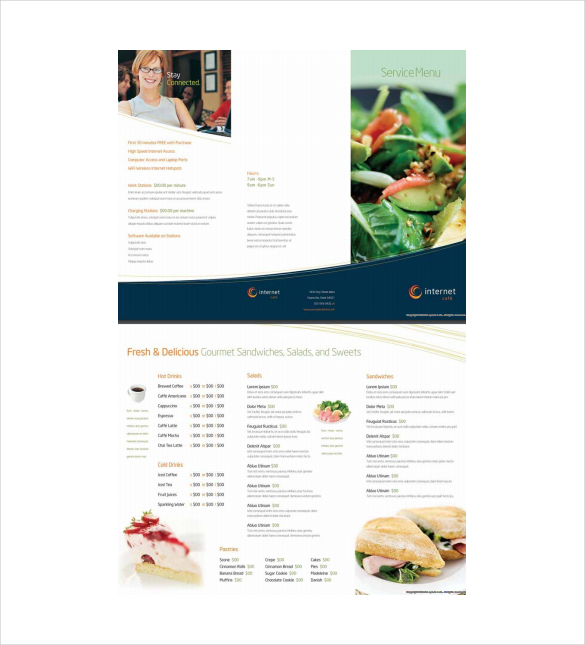 This PDF menu has cold and hot drinks, salads, pastries and sandwiches and their prices. It also comes with colorful pictures of the categories. 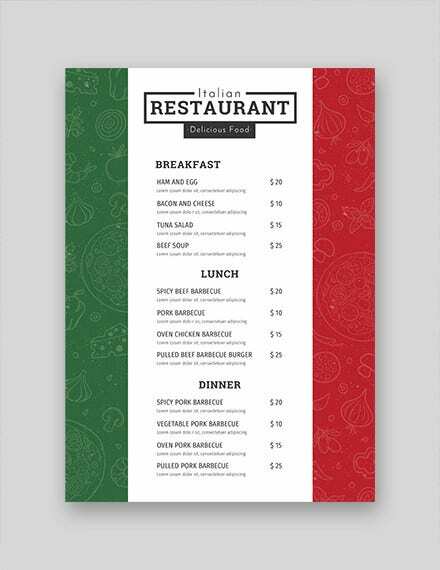 This editable Excel menu can be used by any restaurant and customize it to their own liking. 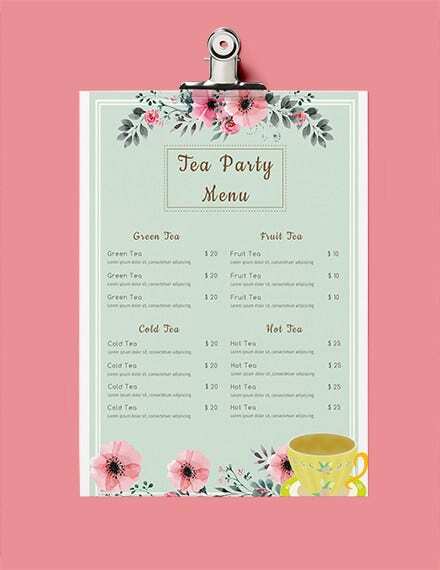 The menu looks amazing with flowers with all day breakfast, salad, sandwiches, hot drinks and juice in the menu. 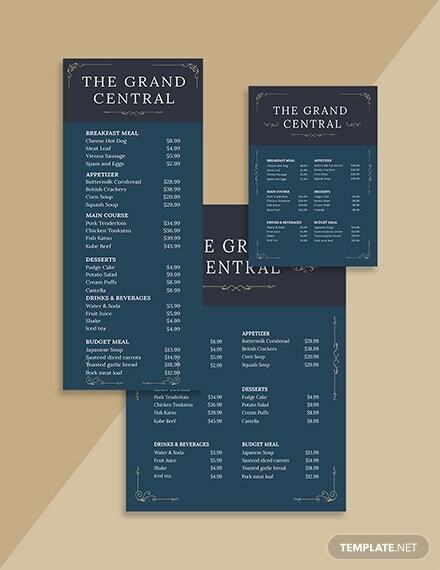 You may also see Chinese Menu Designs. 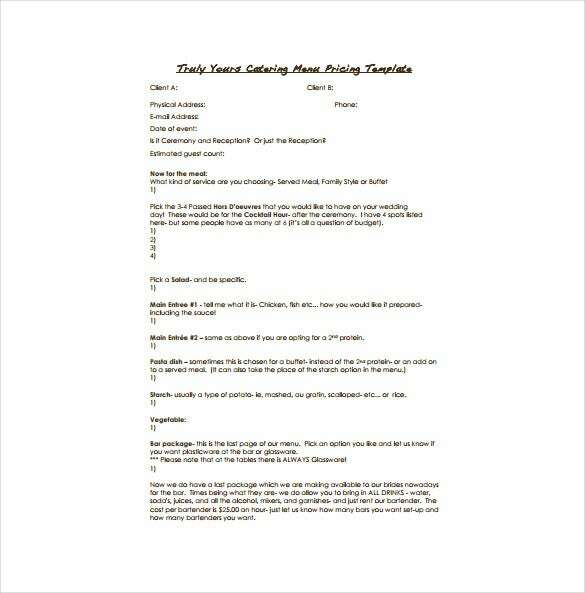 What is better than a menu that gives out the days special? 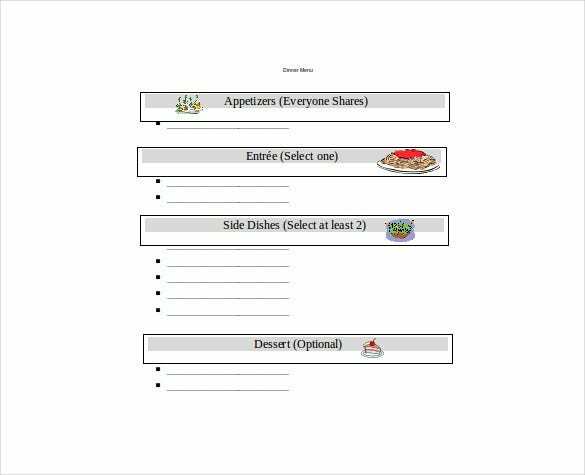 This Word template with categories like soup and salad, sandwiches and entrees as the day’s specialty can help you come up with one. 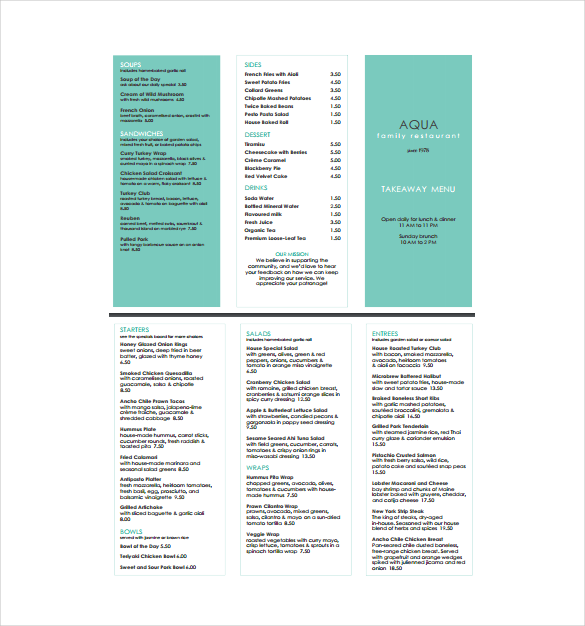 You may also see Salad Menu. 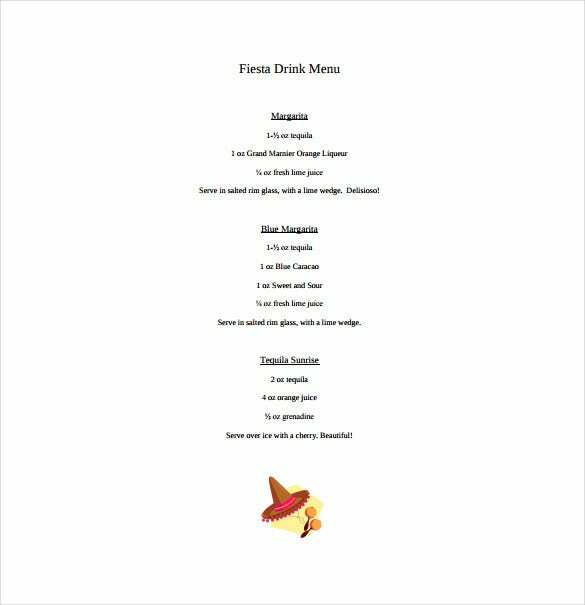 This Excel template drinks menu for alcohol with margarita, blue margarita and tequila sunrise as the available is perfect for reference. 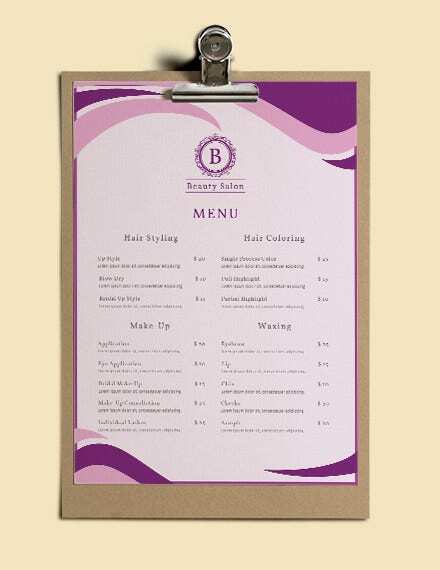 The menu is simple and understandable for the customers to use. 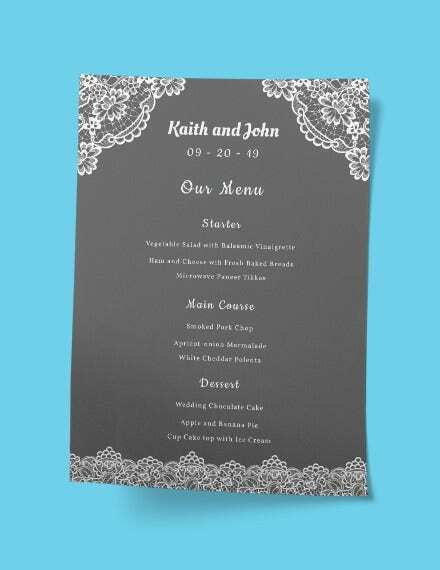 This PDF format template is a pricing catering menu, it asks for the clients physical and e-mail address date of event followed by choosing of salad, main entrees and vegetable. 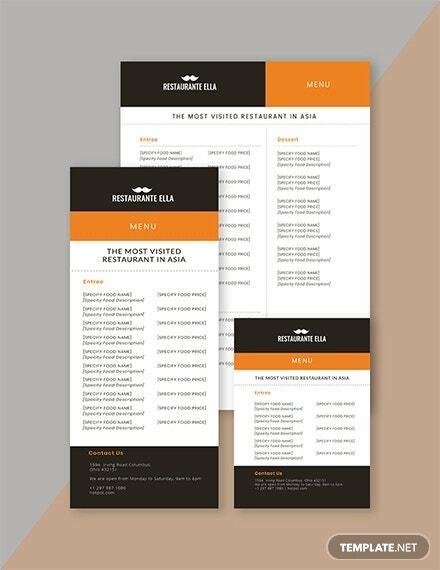 This Word format template is a modern catering menu for breakfast buffets. 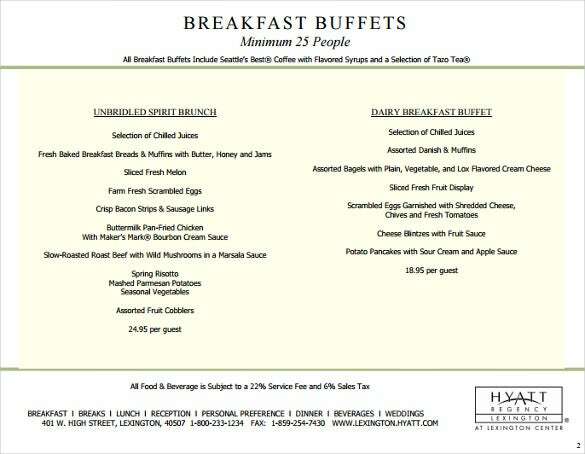 It has unbridled spirit brunch and dairy breakfast buffet as their two main categories and is perfect for restaurant looking for one. 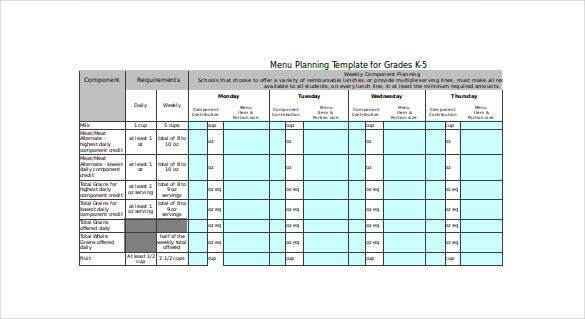 For people looking for dinner menus this Excel word format template gives you an outlook of how one should look like. 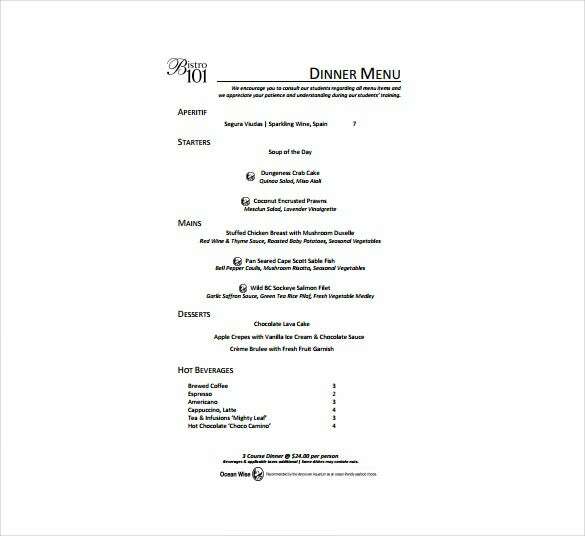 Like the template it should have aperitif, starters, mains, desserts and hot beverages. 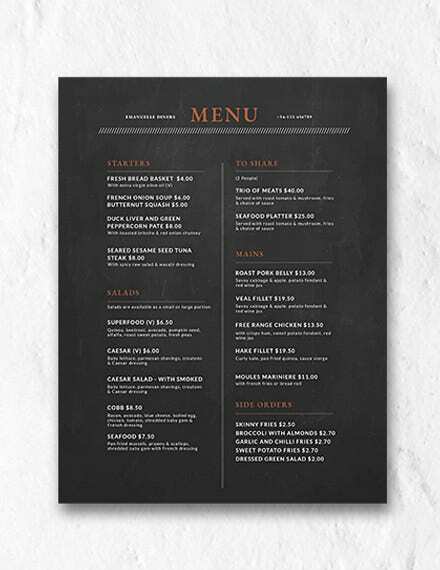 A blank Word format file menu is what a restaurant needs in order to fill it with its own meals. The available categories are appetizers, entrée side dishes and desserts. 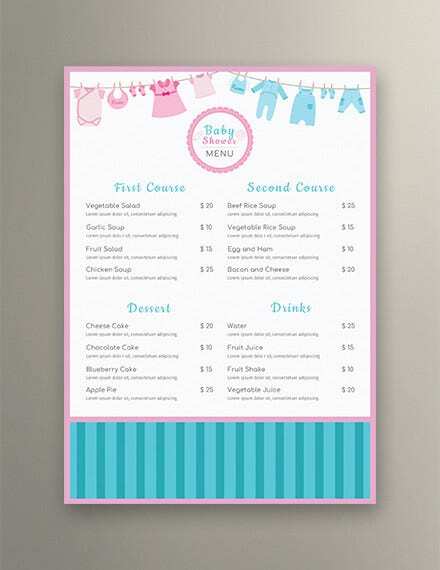 You may also see Starter Menu Designs. 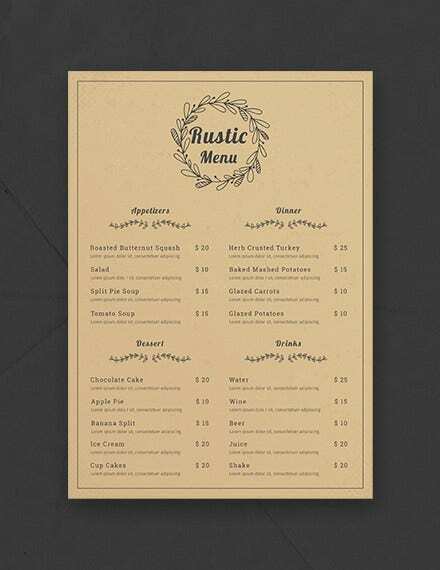 For great menu designs, you can look up a free menu template Word online. 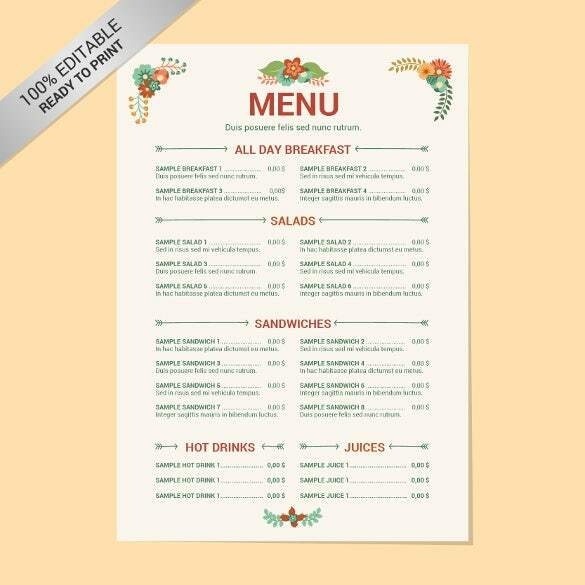 These Free Menu Templates will allow you customize the menu just as you want it, because your menu card should represent the overall ambience of your restaurant.